Santa Monica Motors owner Karim Rawji took over the family business in 1992, growing it to what it is today. 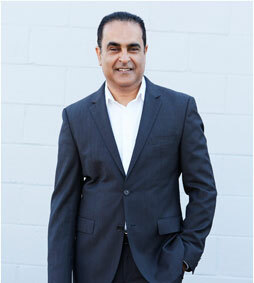 With four decades in the auto repair and maintenance industry, Karim strives to uphold the same quality service and family values that Santa Monica Motors has always been known for. 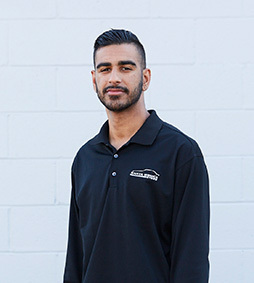 Karim possesses a comprehensive knowledge base on a variety of diagnostic and emission-based repairs, and is also an ASE certified tech as well as an advanced emissions specialist. He is thankful for the consistent support over the years from Santa Monica community and hopes to continue to be an integral part of the community for many years to come. Bob Rich, who holds the title of Service Writer, is the only team member to have been with Santa Monica Motors as long as owner Karim Rawji, ever since its humble beginnings four decades ago. Over the past 40 years, Bob has grown with the company, providing a personalized and detail‐oriented brand of service for every customer that walks through the door. He has been essential in advancing the company’s mission of excellence in customer service. 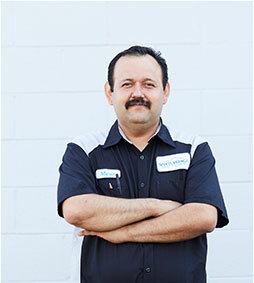 As the technician supervisor and a smog technician, Eloy Garcia is an integral part of the Santa Monica Motors team. Eloy, who is an ASE certified tech as well as an advanced diagnostics, engine performance and front end suspension specialist, feels like his co‐workers are a second family—just as important to him as the people he goes home to every day. Eloy has 20 years of experience in the automotive industry and 12 at Santa Monica Motors. With such an extensive background working with vehicles and their many technical components, Eloy brings the full package and then some to the Santa Monica Motors family. 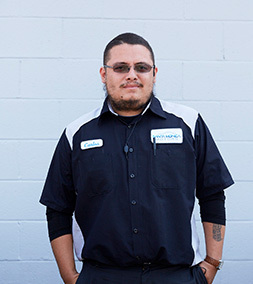 Raul Cardenas first joined the ranks of Santa Monica Motors five years ago as a temporary technician, but it wasn’t long before the team realized how much of an asset Raul was to the service industry, welcoming him in with open arms. 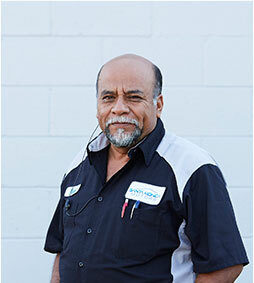 With 14 years in the automotive industry, Raul brings a level of expertise and professionalism to the company that keeps operations running smoothly, day in and day out. Raul is also an avid marathon runner, so if you seem him out jogging in Santa Monica, be sure to give him a friendly hello! 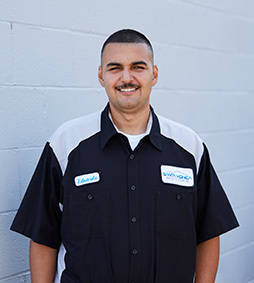 As the newest addition to the Santa Monica Motors family just a year ago, Carlos is broadening his scope of the auto industry and learning on a daily basis from his more experienced counterparts at the auto shop. His five years of experience in the auto industry make him a skilled technician, advanced emissions specialist, and maintenance specialist. For the past 12 months, Carlos has enjoyed getting to know the rest of the team, working on as many vehicles as he can get his hands on and expanding his horizons in the beautiful Santa Monica community. Mario Garciduenas joined Santa Monica Motors as lead smog tech four years ago when he decided to leave the heat of the valley and get closer to the ocean. He has been in the industry for over 15 years as an ASE certified tech and advanced emissions specialist, specializing in diagnostics and general technician. When he is not at Santa Monica Motors he likes to spend time with his four kids and work on his two classic Ford Mustangs. 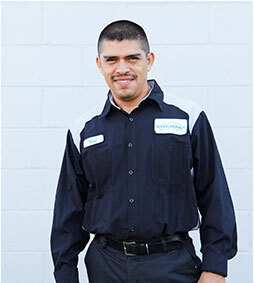 Company handyman and driver Fidel Solares began his career with Santa Monica Motors 10 years ago. He lends his versatile skills to a wide variety of daily projects around the shop, from driving customers while their cars are serviced to making sure things are always in order. Fidel is a key member of the team and is always willing to lend a helping hand. Fidel has a wealth of knowledge on a variety of skilled labor jobs. Whether it’s on‐site carpentry or plumbing, he makes any job a pleasure with his hard work, dedication, and can‐do attitude. With a decade at Santa Monica Motors under his belt, Fidel is excited for his future with the company and all of its growth opportunities. 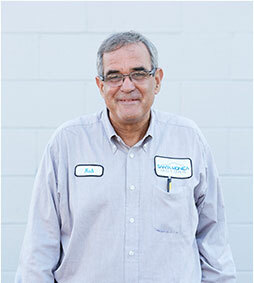 Jose Cerezo has been with our team for the past two years and in the auto repair industry for six. He serves as an advanced emissions specialist at Santa Monica Motors. On the weekends, you'll catch Jose traveling and exploring different places around the area with his son. Ray started in the auto industry 9 years ago as a smog technician, but transitioned to service writing after joining Santa Monica Motors 4 years ago. He always strives to learn new skills, pushing him to go back to college with the support of his Santa Monica Motors team. On Ray's days off he enjoys spending time working on his own Chevrolet Impala. 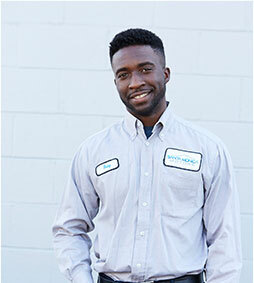 Kamran joined the family auto business two years ago as a service advisor. He attends San Diego State University where he studies Electrical Engineering, but whenever he is not in school he works at Santa Monica Motors. In his free time he enjoys building his 1981 Stingray Corvette. 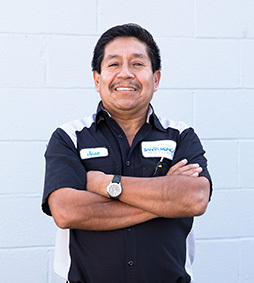 A skilled smog technician, Eduardo has been in the auto industry for five years, two of which have been spent at Santa Monica Motors. When Eduardo has time off he enjoys visiting his wife's family in the Inland Empire where he likes to ride his dirt bikes. He is also currently going back to school where he is studying mathematics.